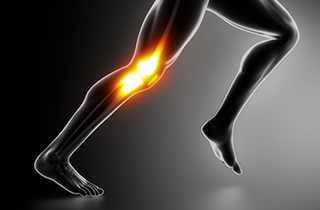 Prime Physical Therapy is a premier physical therapy facility offering treatment for joint pain. We offer efficient and proven orthopedic care and treatment for all types of physical conditions. Contact us now for details. Prime Physical Therapy is the place to call if you need immediate, and effective relief from joint pain. We offer flexible physical rehabilitation programs and orthopedic treatment for all joint problems and disorders. 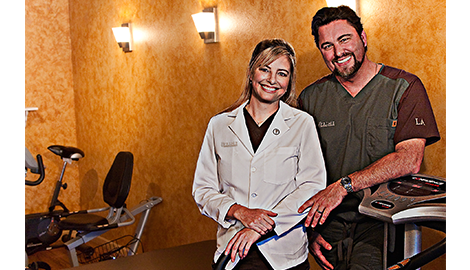 Set up an appointment with our specialists for your next treatment session for joint pain. Make sure you contact us online or by phone or email to schedule an appointment with our in-house physical therapists. Prime Physical Therapy is the leading name for orthopedic rehabilitation of joint and back pain. Prime Physical Therapy in Baton Rouge, LA is the reputable and trusted family owned physical therapy facility offering treatments for pressing conditions such as joint and back pain. We have served our growing customer base for years and continuously provide dependable, effective treatment to our patients with personalized attention and care. We are licensed, certified, and experienced physical therapists specializing in all types of orthopedic rehabilitation. We have dealt with many different physical conditions, from minor to more threatening issues. Our patients are the heart and soul of our services, and that is why we continue our commitment to deliver customer-focused treatment at all times. Prime Physical Therapy is the leading provider of innovative and proven joint pain therapy for patients who have minor and major physical health conditions. We use a wide range of methods and techniques that are ideal for ensuring pain relief and alleviation. We also have a doctorate in manual techniques & expertise to treat spine back and neck pain with confidence. Spinal problems that result in extremely painful symptoms are likewise given extra attention in every physical therapy session. Our physical rehab service portfolio has been expanded so that we can cater to the growing needs of our patients. We provide manual therapy techniques, trigger point therapy, dry needling, and other proven and tested treatments. Our one-on-one, personalized attention and care are designed to reduce pain for all different types of physical ailments, including arm pain, leg pain, and shoulder pain. Prime Physical Therapy offers top-quality physical rehabilitation for pain-free, healthier lifestyles. Give us a call or send us an email for quality physical therapy rehab today.